At Vallée, we innovate tirelessly so our customers can operate more productively. It is a mindset we not only apply to our own product development, but also to meeting your specific and diverse needs. 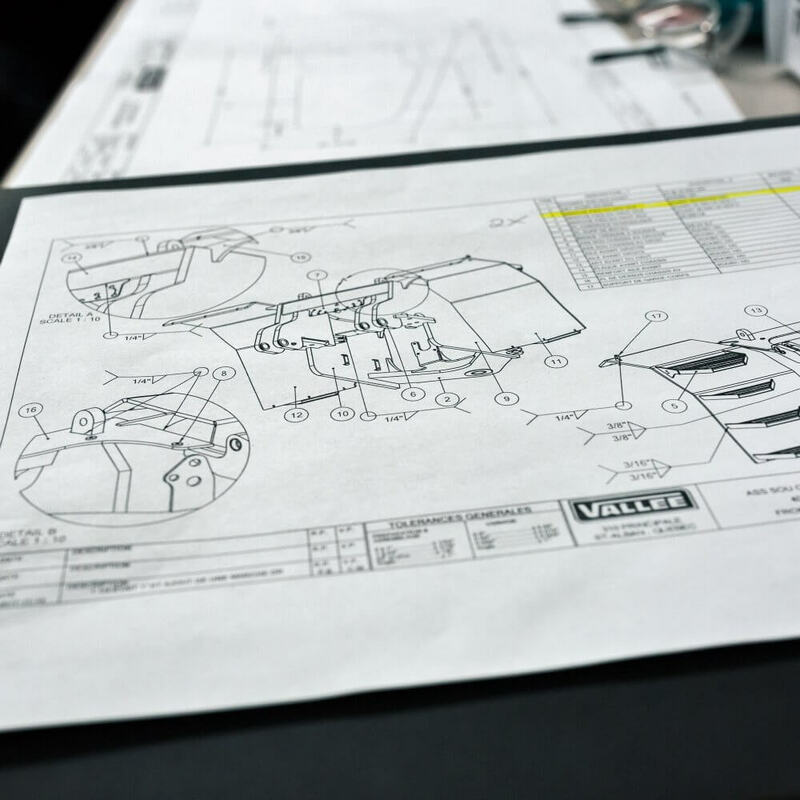 The custom solutions that originate from our R&D department and team of engineers are a Vallée trademark, just as integral to our brand as the new vehicles and accessories we release. Vallée engineers designed the Industrial Manipulator after a leader in the steel thermal-treatment industry approached us and commissioned us to invent and manufacture a “handling device” capable of removing a 10-metre-diameter ring weighing 14 metric tons from a melting furnace, transport it 3 metres, and lower it into an immersion tank for a specific amount of time. 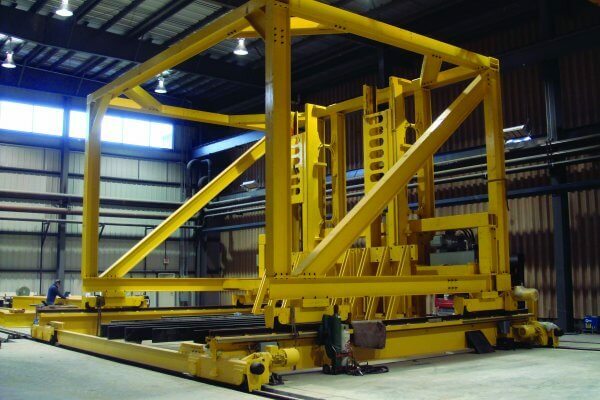 Industrial manipulators are essential when handling heavy loads on a production line. A client asked us to create a piece of equipment for tree planting purposes that would allow them to dig two holes simultaneously, in order to double productivity. 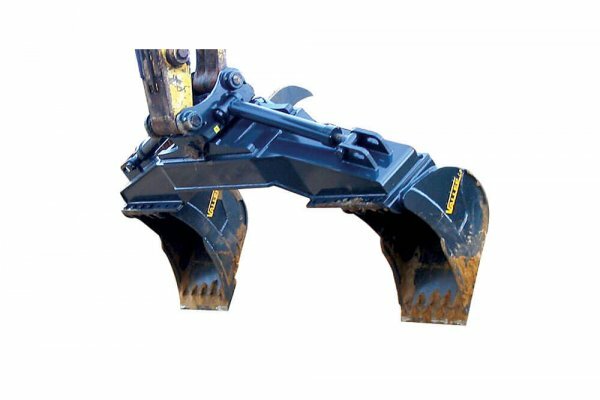 Vallée rose to the challenge and built a heavy-duty double bucket for excavators. Each bucket can handle up to 0.63 cu. m (0.82 cu. yd.) – in compliance with standard SAE J742 – and is 61 cm (24 in.) wide, giving the Vallée Double Bucket System an overall width span of 3.35 m (132 in.). The Vallée excavator bucket already enjoyed a reputation for optimal performance. Made of ultra high strength steel and accessorized with a wide range of ground engaging tools, it allowed you to penetrate deep into the soil with tremendous efficiency. The next logical step was to pair it alongside another bucket to get the job done twice as fast. We were contracted to create a tool to transport a loader inside a ship. Our engineering team designed a lifting anchor that can be screwed onto a loader’s frame and secured to the roof. A ring on the anchor allows the vehicle to be lifted by crane onto the ship. The anchor is 3 m (10 feet) long and can lift up to 22,680 kg (50,000 lb.). 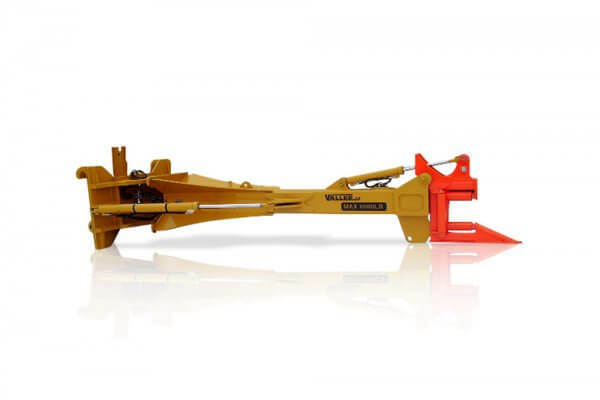 Lifting anchors, especially for heavy machinery, allow you to reliably and safely absorb all the stresses that occur during the course of lifting and transportation operations. The safety of the operators and the safeguarding of the expensive equipment being hoisted are paramount when manufacturing these anchors, which is why selecting top quality materials and carefully dimensioning the anchors to match their intended application and the load they are expected to bear, are such important components of the design and manufacturing process. 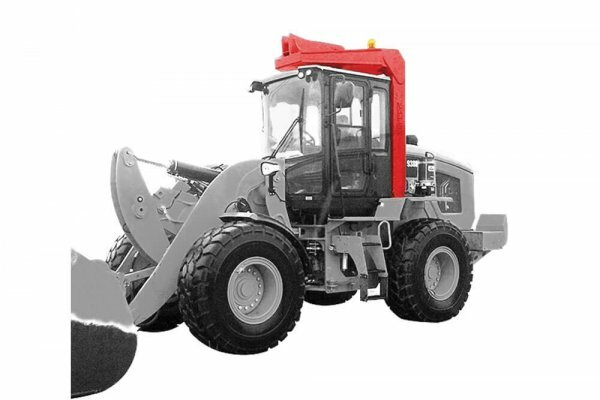 A mine cable manipulator is a cable hoisting and moving mechanism you can operate from a loader or forklift. The rugged hydraulic arm is equipped with a cable holder fitted with rollers to minimize cable wear and tear caused by frequent handling. We engineered the Vallée Mine Cable Manipulator specifically for the harsh working conditions typical of surface mining.